At Jamf, we make Apple’s iOS 9.3 dream your reality. You can now preload apps and show them or hide them based on the user. You can also build a unique home screen layout, so that each user has an exquisitely crafted experience with their iPads. 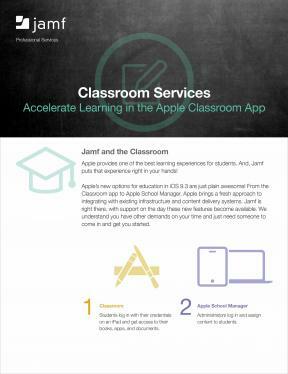 Reduce the impact of the learning curve to do all of this with Jamf’s Classroom Services, an accelerator program to get you ready to provide the best education experience possible for faculty and students. Want to learn more or ready to get started? Contact us.